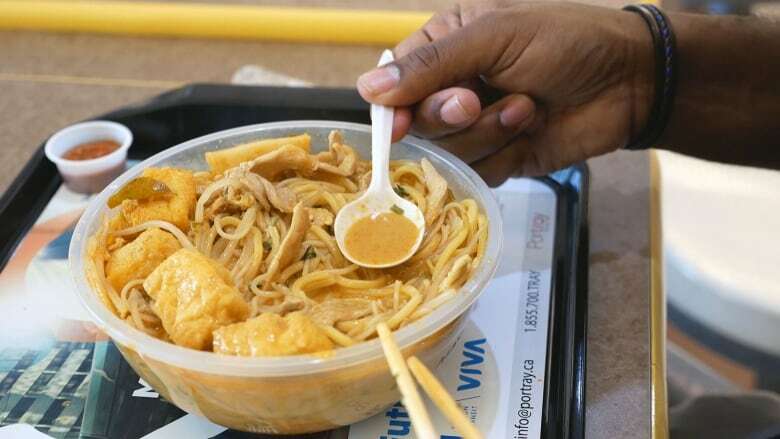 Metro Morning food guide Suresh Doss visits Markham food court joint Malay Thai, which serves 'one of the best' interpretations of curry laksa, he says. For any food lover, eating through First Markham Place should be a rite of passage. In one complex, you have an assortment of restaurants and takeout spots that will take you on a food tour of eastern and southern Asia. Dim sum, BBQ pork, sushi, hot pot — you name it, you can find it here. My introduction to the plaza came via my school friends that loved to visit Markham for weekend dim sum. Depending on what the group felt like — and the time of year — we would pick different restaurants to visit on the plaza strip outside of the main building. It wasn't until years later that I discovered the food court inside First Markham Place, tucked behind the kitschy shops selling everything from iPhone cases to life-sized anime figures. The food court inside the plaza is different from the outdoor strip. Frequented by an older demographic, it is lined with a school of OG restaurants that have been operating for decades, often known for a handful of specialties like barbecue pork, Taiwanese fried chicken, or siu mai (Chinese pork dumplings). During lunch time, it may be hard to find a seat. Families will set up share platters with a variety of items from different vendors. The seating is restricted to uncomfortable food court-style stools, but the food couldn't be better because it has been tried and tested for many years. In the corner of the busy food court is Malay Thai. It's nondescript and can be easily missed, only decorated by a menu with tiny font and a set of photos showing what they serve. What drew me to this shop was the fact that they served Malaysian hawker food. When I first met owner Christine Tam, she explained to me that they opened the shop because they missed the food of Kuala Lumpur. "We moved to Canada in 1996 from Kuala Lumpur. We wanted a better life in Canada," Tam said. "But the first thing that we missed was the hawker culture back home." Having spent a month eating through Malaysia earlier this year, I know exactly what she means. 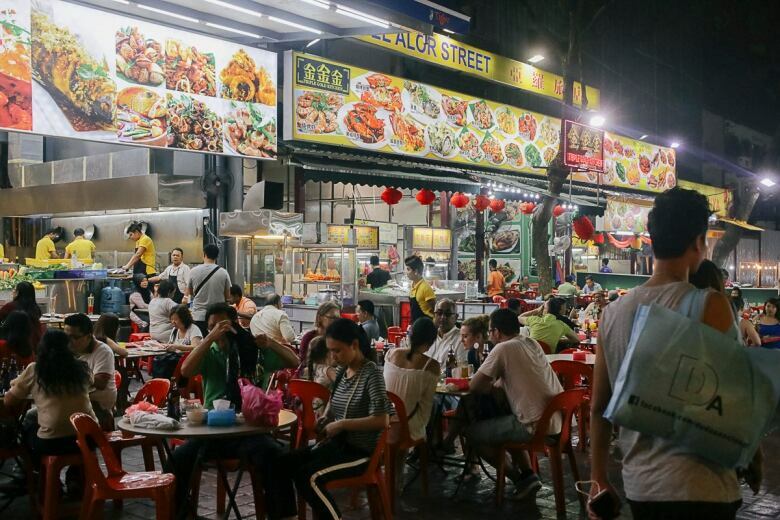 Malaysia is the epicentre of street food in Southeast Asia. Nearly every district, every state, has a night market. In Kuala Lumpur, there's one for every day of the week. Hundreds of vendors set up at these markets, serving some of the best street food you will have in your life. Tam wanted to bring a sliver of that culture to Toronto. Malay Thai opened in 2006 with a small but focused menu that highlights some of the more popular items in hawker culture. The best item on the menu is a Malaysian noodle soup called laksa. Think of pho or ramen and now imagine a noodle soup that amplifies the herbal and spice qualities by tenfold. "It was our favourite thing to eat in Kuala Lumpur. We love the curry laksa. It is the Malaysian dish," Tam said. Throughout Malaysia, there are various forms of laksa. 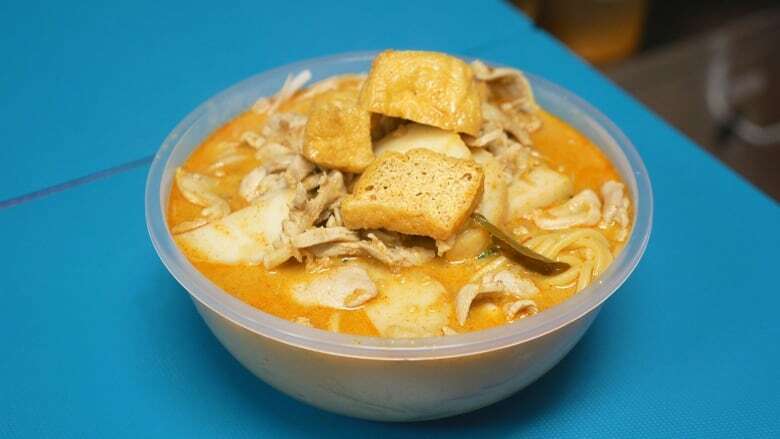 But the Tams wanted to serve a version that is very popular in Kuala Lumpur: the curry laksa. It's made with vermicelli and egg noodles, which are bathed in a stock mixed with a spice paste. The spice paste gives the soup its heat and umami flavours and its bright orange colour. The soup is then topped with fish cake, tofu, sprouts and additional spices. To date, Tam's interpretation of the iconic Malaysian noodle soup is one of the best I have found in the Greater Toronto Area. Every time I visit Malay Thai, I encounter other diners that drive in from all corners of the province for a bowl of laksa. For many, it's nostalgic and reminds them of hawker culture in places like Malaysia and Singapore. Pho and ramen are fantastic noodle soups, but for me the king that reigns supreme is the Malaysian laksa. Malay Thai is at 3255 Hwy. 7 E. in First Markham Place.